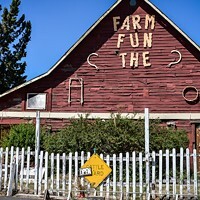 In the scrubland between Redmond and Bend, there are thousands—quite literally—of trees along the east side of Hwy 97. 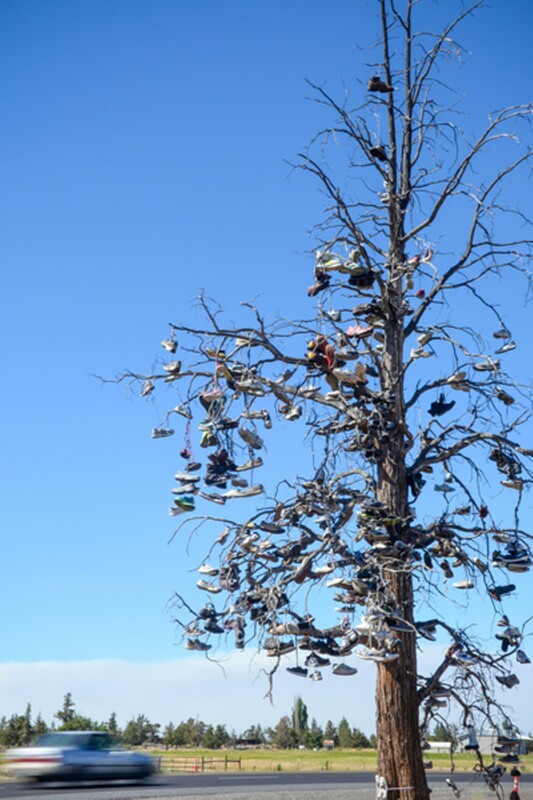 But, distinct against the passing-by landscape of farms, tractors and barren land, there is only one Shoe Tree, an odd ornamental landmark with Nikes, Adidas, Sketchers and Converse draped over the bare branches like tinsel over Charlie Brown's sad Christmas tree. No taller than a giraffe—probably fifteen feet from ground to spindly tippy top—I have passed by the tree dozens, even hundreds of times, and never noticed it until my editor sent me on assignment to research it. And it seems as if I wasn't alone: The tree is as about as likely as a mermaid casually sitting in a roadside cafe, yet few people seem to have noted its presence and even fewer know its history. I first stopped at the tree—an old dead juniper, with an odd funky smell cooking in the summer heat. There was nothing of note. No placard. No sign. No reason why this particular tree was singled out; just old sneakers baking and molding in the sun. Next, I stopped at the nearest building, a tractor company. "What do you mean by shoe tree?" asked one guy who gave his name as Greg. "I don't think there is one around here." Another man had a bit more information, and said that he thought people started tossing their shoes over the branches there a couple years ago. "It could have been longer ago," he added. In urban areas, now and again, shoes are laced over telephone wires—in Oakland, it is rumored to mark a recent gang shooting; in Brooklyn, it apparently means someone hooked up the night before. Some have claimed that shoe trees, like Hwy 97's tree, are a public art declaration, a tribute to the traveler of the American West—the roaming nomad, or the wayward hitchhiker. 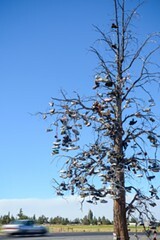 The shoe tree between Bend and Redmond is not the only one of its kind to spring up along Hwy 97. Another used to stand 10 yards from Hwy 97's shoulder, exactly at milepost 53, just north of Shaniko, an Oregon ghost town (2010 population: 36). As curious as that tree's existence was its demise; Shaniko's much larger and more elaborately decorated tree was burned down in 2010. 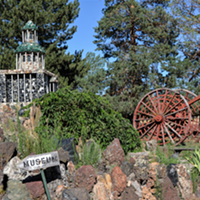 A similar incident occurred in Nevada in which an even larger shoe tree also was burned down. 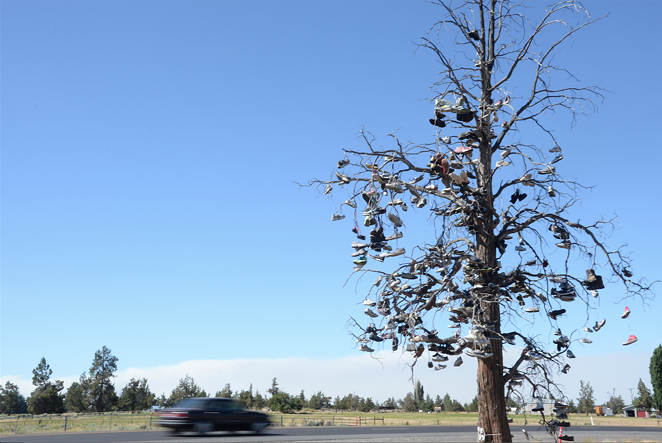 The community response was so large that a funeral was held for the tree that several hundred people attended, and a Facebook page with more than 1,500 fans honors the torched shoe tree. OZ IS REAL! IT REALLY IS!